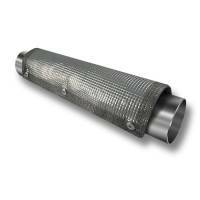 Since 1987, Thermo Tec has offered the latest in exhaust insulating and heat protection technology. 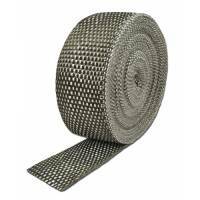 Check out the Recently Listed Exhaust Wrap. Pit Stop USA is The Online High Performance Superstore! 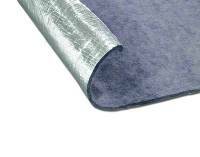 We feature Floor Mat at low everyday prices. Pit Stop USA is The Online Motorsports Superstore! We feature Header Wrap at low everyday prices. Pit Stop USA is The Online Motorsports Superstore! 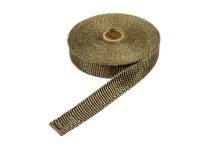 We feature Header Wrap Straps & Ties at low everyday prices. Pit Stop USA is The Online Motorsports Superstore! 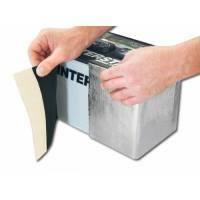 We feature Heat Mat Adhesives at low everyday prices. 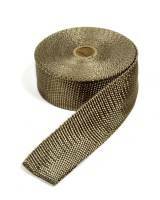 Check out the Recently Listed Heat Wrap Ties. Pit Stop USA is The Online Motorsports Superstore! We feature Hi-Temp Spray Coatings at low everyday prices. Pit Stop USA is The Online High Performance Superstore! We feature Sound Deadener Installation Tools at low everyday prices. PitStopUSA.com offers a wide range of bonding and sealing solutions which include epoxies, instant adhesives, sealants, specialty adhesives, and super glues. Pit Stop USA is The Online Motorsports Superstore! 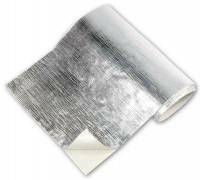 We feature Tape Insulation at low everyday prices. Pit Stop USA is The Online Motorsports Superstore! We feature Thermal Floor Mats at low everyday prices. Pit Stop USA is The Online Motorsports Superstore! 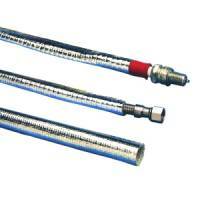 We feature Turbo Insulating Kits at low everyday prices. 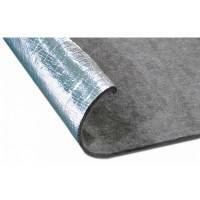 Thermo-Tec 12" x 12" Sound & Heat Mat 2 Pc. 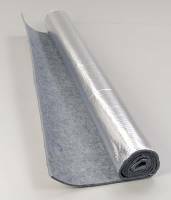 Thermo-Tec Adhesive Backed Heat Barrier - 24" x 36"
Thermo-Tec Adhesive Backed Heat Barrier - 24" x 48"
Thermo-Tec Aluminized Heat Barrier - 40" x 36"
Thermo-Tec Battery Heat Barrier Kit 40" x 8"
Pit Stop USA is The Online Motorsports Superstore! Since 1987, Thermo Tec has been proud to offer customers the latest in exhaust insulating and heat protection technology. Thermo Tecas mission has always been to use research, experience, and innovation to provide a quality product to their valued customers. Thermo Tec's goal is to exceed their customers' expectations in solving the ever pressing destructive nature of exhaust heat. This mission is the fuel that drives Thermo Tec to continue to create and develop the best possible solutions. 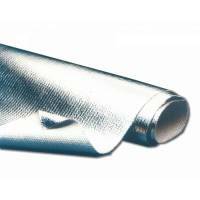 Applications for Thermo Tec's products are endless. 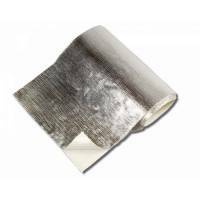 Thermo Tec manufacturers over 130 products that either control heat dissipation or reflect heat away from parts and components in an unlimited number of potential uses. Currently, Thermo Tec products are used in every form of motor sports including NASCAR, NHRA, IHRA, Oval Track, and Off Road racing. Thermo Tec products include Thermo Tec Adhesive Backed Heat Barrier, Thermo Tec Aluminized Heat Barrier, Thermo Tec Battery Wrap Acid Absorbing Heat Barrier, Thermo Tec Clamp-On Heat Shield, Thermo Tec Competition Floor Insulating Mat, Thermo Tec Cool-It Mat, Thermo Tec Cool-It Plug Wire Sleeves, Thermo Tec Exhaust Insulating Wrap, Thermo Tec Generation Ii Copper Header Wrap, Thermo Tec Header Manifold Blanket, Thermo Tec Heat Sleeves, Thermo Tec Hi-Heat Coating, Thermo Tec High Velocity Exhaust Jackets, Thermo Tec Snap Strap, Thermo Tec Spark Plug Wire Heat Shield, Thermo Tec Starter Heat Shield, Thermo Tec Thermo Sleeve, Thermo Tec Thermo-Flex and Thermo Tec Thermo-Shield. We feature Thermo Tec products at low everyday prices!